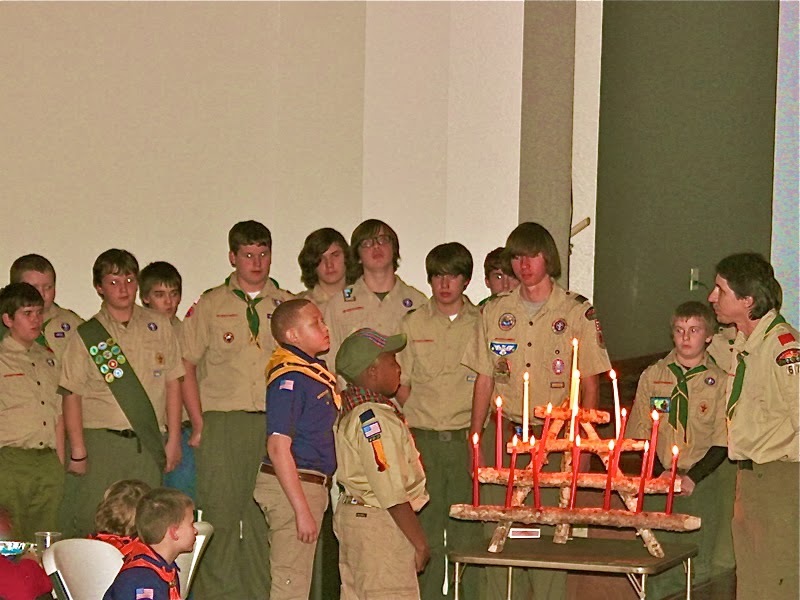 Troop 67 participated in Pack 69's Crossover Ceremony during their recent Blue & Gold Banquet. Two Webelos crossed over during the ceremony and are eligible to join the Boy Scouts. Boy Scouting, is open to any boys who are 11, but not yet18 years old (or) boys who have earned the Arrow of Light Award and are at least 10 years old (or) have completed the fifth grade and are at least 10. To Join Boy Scouts a boy and parent should attend a local Boy Scout Troop Meeting and fill out a Boy Scout membership application. Troop 67 meets weekly; Monday nights at 6:30PM at the First United Methodist Church of Monticello in the Scout Room.